How do I create a participation team? 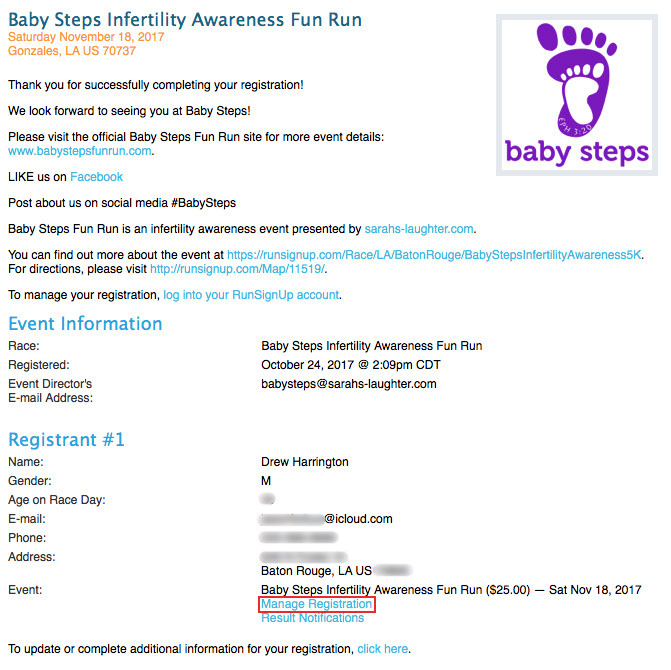 Click on "Race Team" on the left under the Baby Steps logo. Click on "Create New Race Team." 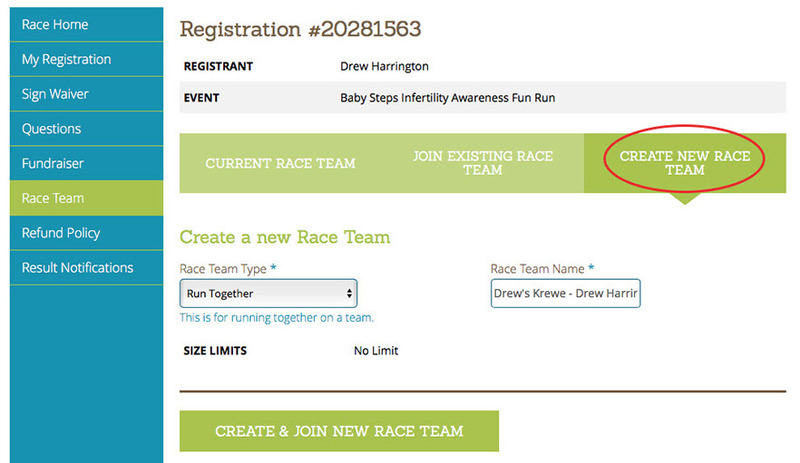 Place the cursor in the box labeled Race Team Name. Paste (⌘-V on Mac, control-V on PC) your Team Fundraiser Name into the box. Now the two will have exactly the same name. Click on "Create & Join New Race Team." You're done!